Days and nights of heavy spring rain threaten to cripple New York City. Neighborhoods are experiencing periodic blackouts. People have been reported electrocuted by fallen power lines. Flooding of some subway lines has stopped trains in their tracks. And in the midst of the deluge, the CSI team has three cases to solve. Mac Taylor and Don Flack are on the trail of the perpetrator of a string of grisly murders with one thing in common: initials carved into the victims' bodies. When an unusual connection is found between the victims' lives, Mac realizes the killer isn't finished -- not by a long shot. Lindsay Monroe and Danny Messer investigate the death of a teacher at an exclusive Manhattan private school. The victim seems like everyone's favorite teacher on the surface -- but they soon uncover a darker secret lurking beneath. 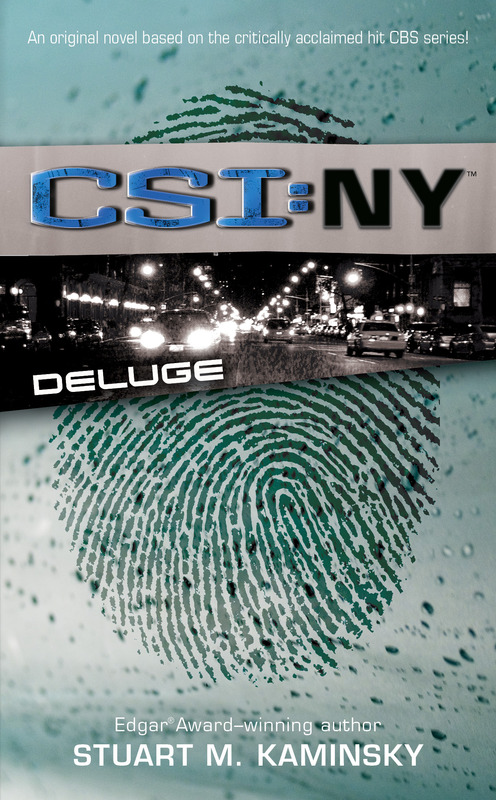 The intrepid members of New York's crack forensic team must race against time and the elements to bring three very different criminals to justice.